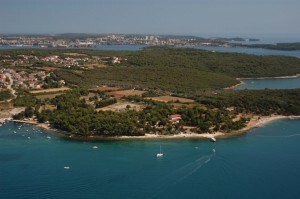 The campsite offer in Pula include 4 larger campsite all situated in the vicinity of the town or in Fazana a small town north of Pula, non of the 4 large camps are nudist campsites. 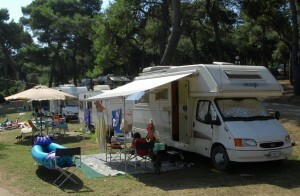 In addition to the large campsites there are a fairly larger number of mini campsites in Pula and the surrounding area. On our campsite list we currently have included 11 mini camps. Click on campsite name to see detailed information about camp. 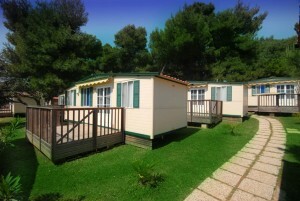 Camping Bi-Village Fazana – 1.100 Pitches, rental of Bungalows, apartments and Mobile Homes, camping Bi-village is situated in Fazana 7 km from Pula. 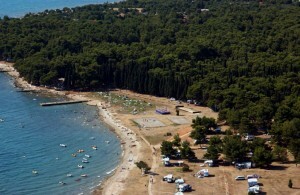 Camping Pineta Fazana – 600 Pitches, capacity of 1.800 campers, situated 2 km from Fazana and 8 km from Pula. Camping Puntizela Pula-Stinjan – 400 Pitches, capacity of 1.200 campers, camp is situated 8 km from Pula and less then 5 km from Fazana.